Carlos Sainz and Lucas Cruz have been unlucky over the last three Dakars but they bounced back in the strongest possible way. Having driven a masterful rally from the start, the two Spaniards demonstrated both performance and consistency at the wheel of the Peugeot 3008DKR Maxi. They won SS6 and SS7 (out of 14) to take a lead on the marathon stage that they were never to lose. The winners of the 2010 Dakar were on the top step of the podium again by reaching Cordoba with a 43:40 minutes advantage over their rivals. This victory underlines their unrelenting investment into Peugeot’s rally raid project, having put all their expertise and talent into the set-up of the DKR cars. "It was a very difficult rally for me," said Sainz after the Rally. "It’s probably been the most difficult Dakar that I’ve ever taken part in, even counting the ones in Africa. The organisers gave us a truly challenging route, with so many incredibly difficult stages. 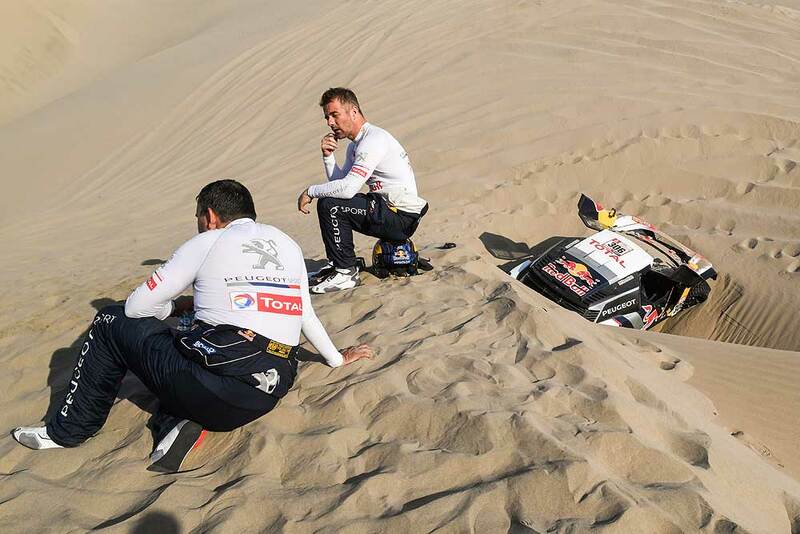 Even the two stages right before the finish were unbelievable and Peru was also very tricky." Stéphane Peterhansel and Jean-Paul Cottret, the winners of the 2016 and 2017 Dakars with Peugeot, had an action-packed rally with two unfortunate setbacks. On SS7 (of 14) the crew had to swerve to avoid a quad bike stopped in the middle of the road and destroyed their car’s left-rear suspension against a hidden rock. Then at the start of SS13, the reigning Dakar champions hit a tree, which damaged their power steering. On both occasions, their team mates Cyril Despres / David Castera helped them fix their car and continue. These mishaps meant that they lost first and then second place in the overall classification. Nonetheless they finished 4th after proving to be the fastest crew of the whole Team Peugeot Total squad, with three stage victories. "On the whole, it’s been a very good week for us," summarized Peterhansel. "The dunes in Peru were our main trump card really. After that, it unravelled slightly. We lost 1:45 hours in Bolivia after hitting a rock that I didn’t see. It was so impossible to spot that I wasn’t even that upset." The first Peugeot crew to win a stage on the 2018 Dakar was Cyril Despres and David Castera, who claimed the overall lead at the end of SS2, showing that they have taken another step forward in terms of performance. Unfortunately, the ambitions of the two former bike riders were undone by a rock coming out of the road at kilometer 180 of SS4. This destroyed the right-rear suspension of the car, which stopped the duo in their tracks. With the help of the service truck the crew was able to continue, but with a severe delay. From then on, demonstrating amazing team spirit, the duo dedicated themselves to helping their team mates, while setting some impressive stage times when the opportunity arose (such as on SS8 and SS11). As a result of their 29-hour penalty, Cyril Despres and David Castera were classified some way back, a position which doesn’t represent their true level of performance. "This Dakar got off to a good start for us as we won the second stage," Said Despres. "But unfortunately, the problem we had on SS4 entirely compromised our whole rally. From that point on, it was all about helping our team mates, so it wasn’t easy for us to show what we could do. The most important thing though was not to make any mistakes and just to be there in case Carlos or Stéphane had any problems." "Obviously it’s been a frustrating rally for David and myself, but on the other hand we’re just starting our career in cars. We’ve racked up plenty of experience on this year’s Dakar and that’s extremely positive. I’d like to thank the whole Peugeot team, which has worked so hard and allowed us to get better and better in perfect conditions since we started in 2015." 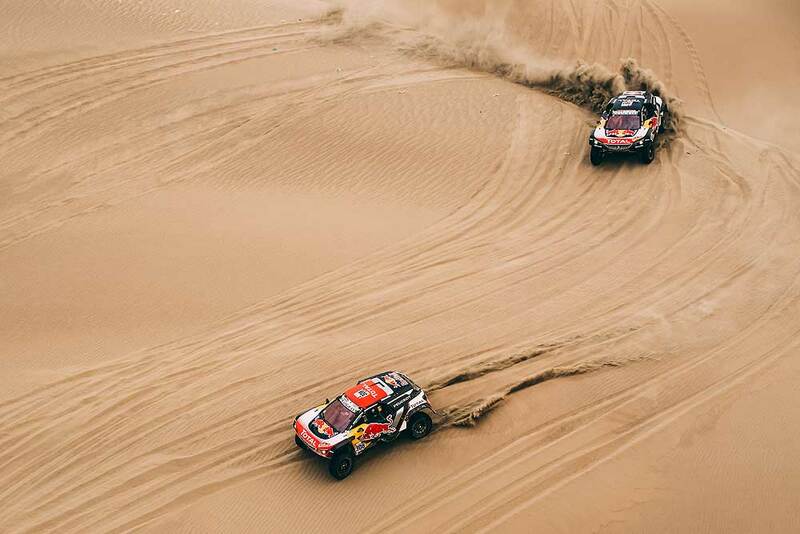 After finishing second on last year’s Dakar, just five minutes behind the winners, Sébastien Loeb and Daniel Elena started this year’s event with the clear objective of winning. They made a great start to the rally, despite an itinerary through Peru that mainly consisted of dunes and off-piste driving, which was not really to their advantage. They then won SS4 in style, one of the most difficult stages of the modern Dakar in South America. Unfortunately, while running second in the overall classification, they were forced to retire on SS5, between San Juan de Marcona and Arequipa in Peru. Their 3008DKR Maxi fell into a soft and sandy hole while they were avoiding another competitor who had got stuck. The impact fractured Daniel Elena’s coccyx, making it impossible for him to continue. 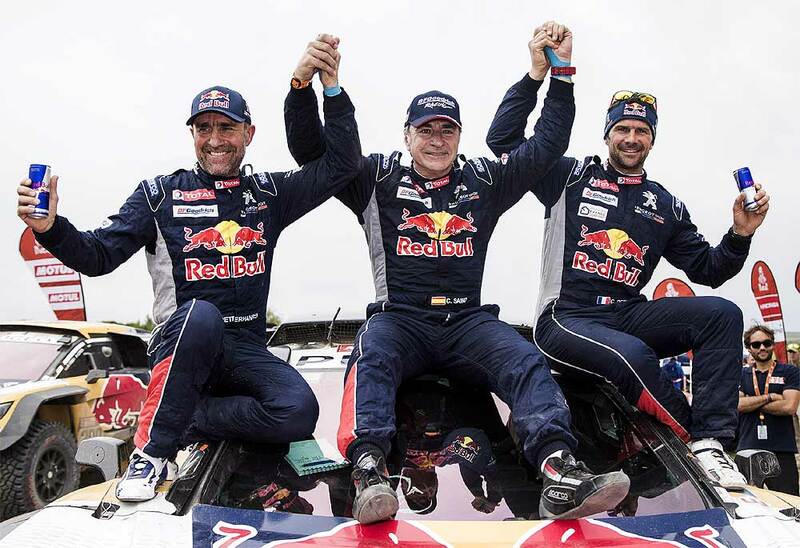 Peugeot Sport Director Bruno Famin summarized: "We are particularly pleased with this victory for Carlos and Lucas, who have driven an absolutely incredible rally, overcoming every obstacle. Carlos has put so much into our Dakar project from the very beginning, so it’s fantastic that he can be rewarded in this way. Three of our four cars are there at the finish of the most difficult rally of the decade, with the Peugeot 3008DKR Maxi having shown its technical superiority with no failures. 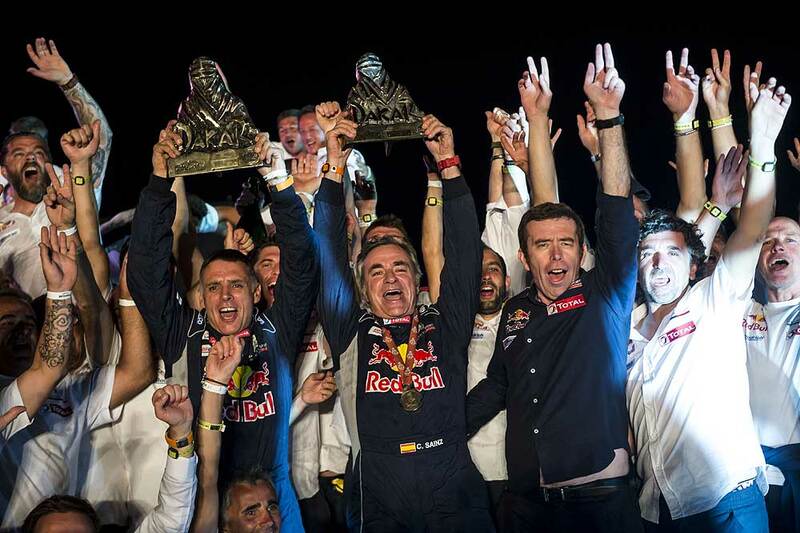 It’s a great satisfaction for the whole team and a massive source of pride for Peugeot."